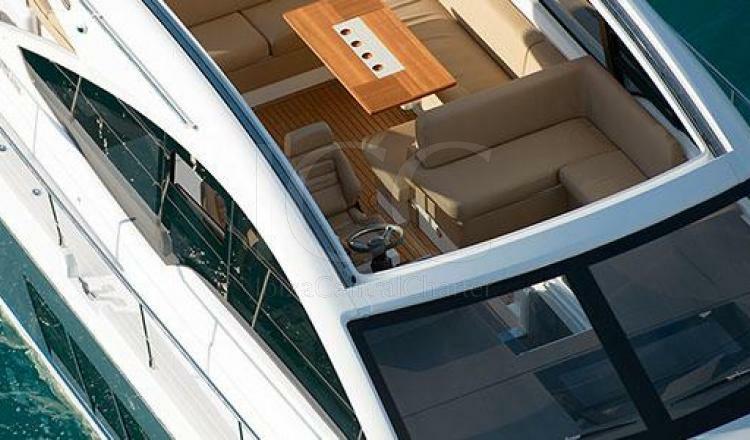 The spirit of the Mediterranean is evident in every centimeter of this boat. 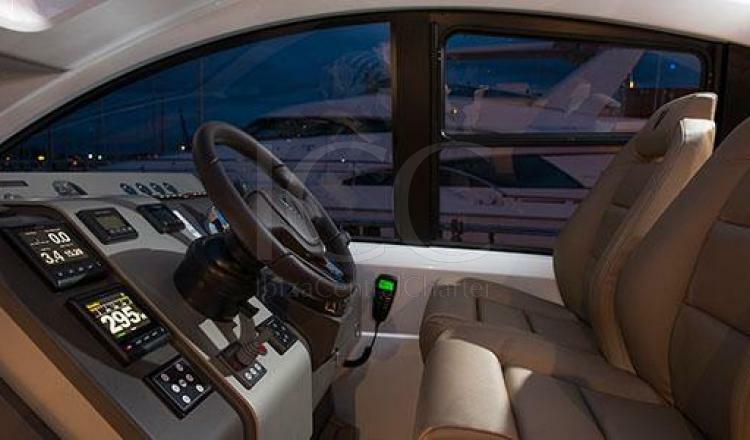 Thanks to its open design makes you feel the authentic freedom and this feeling continue till its cockpit where sunbathing is all in luxury in your solarium. 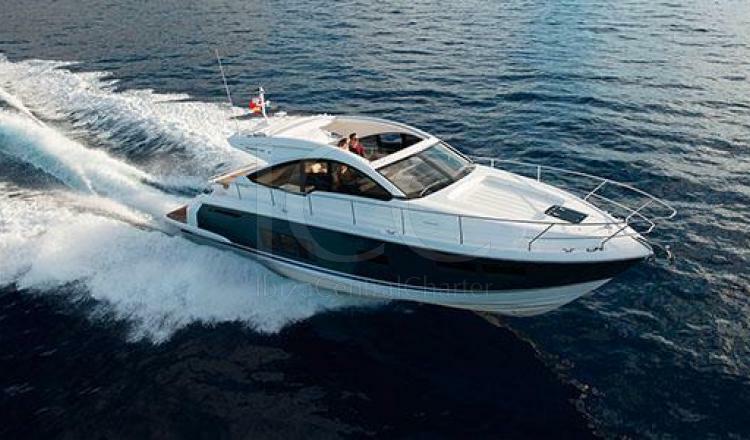 Fairline 48 motor boat is characterized by its extent, spaces intended for social life but with great design. For the habitability of its interior the principal cabin includes its own bathroom, two more cabins and a second bathroom full equipped. 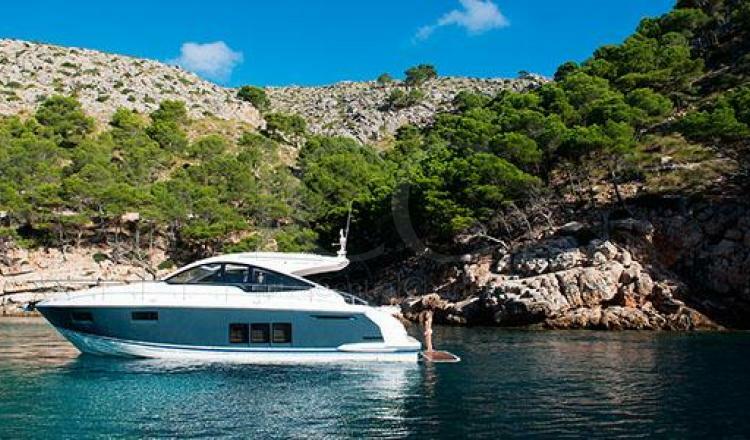 Everyone loves receive natural light and this desire is fulfilled in Failine Targa 48 thanks to its large pan-wide windows, but certainly a luxury is the large stern solarium from where you can relax and sunbathing while are admiring the beauty of the Paradise Pitiuso. 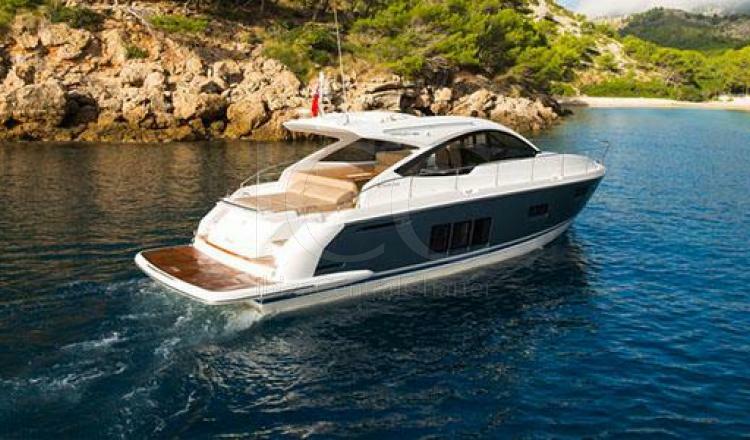 All these design amenities are supported on a sports boat thanks to its two Volvo Penta 435 hp motors, easy maneuverability and one of the best sports boats to sail the Mediterranean. - Moorint out at base port. 50% at the reservation moment, 50% at boarding time.